Are you thinking of earning some extra cash through an online business? Do you have the skills to start an online business? In order to start an online business you are going to need some skills. Don’t worry about it though because these skills can be learned. One of the first skills you are going to need is some knowledge on operating a computer. As strange as it may sound to some people, but there are actually folks out there who do not spend hours on their computer surfing around. I have an aunt like that. She is a retired school teacher and she has no interest in learning anything about a computer. She says it reminds her of school and after 30 plus years of teaching she’s done with anything that resembles school to her. Knowing how to turn a computer on and surf around is the bare minimum of the knowledge you are going to need to start your online business. There is a lot of terminology that you will need to become familiar with when starting your online business. Words and phrases like SEO, keywords, affiliate marketing, e-commerce site, social media, redirect, above the fold, adwords, algorithm, analytics, anchor text, backlinks, blog etc. So is your head spinning now? There is a lot to take in and when you start your online business you will start to run across the above terminology at some point. All of the above words and phrases do involve a certain skill set that you are going to need to run your online business. One of the first things you are going to have to understand is how do keywords work? A keyword or keyword phrase is a word or words that best describes your content. This word or phrase is how people find your website. So for example if you have a site that is about dog training then words that are associated to dog training will be how people find your site. Results of a search will vary depending on where you live. So when I type in the word dog training Google comes back with 54,900,000 results. That is a lot of results. Most people when searching for something online will not go past the first page of results. So your goal is to get your site listed on the first page of Google. In order to get your site listed on the first page of Google you need to come up with a keyword that will describe your site but does not have as much competition as the phrase dog training. This may require you to alter your content. By alter I mean get more specific. For example dog training really covers a lot therefore dig down and think more targeted. An example would be how to house train a lab puppy. This search only brings back 61,300 results. When you have less competition it will be easier to rank your site. Finding good keywords that you can use to rank your site requires careful research. If you get your keyword wrong and write content using that keyword then you have wasted a lot of time. 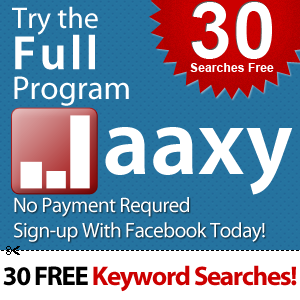 There are many keyword tools that you can buy online but Google has a keyword tool that is absolutely free. You will need to sign up for an adwords account but that is also free. You can sign up for adwords here. 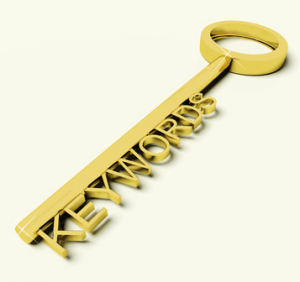 Keywords are really going to be the foundation for your online business. I struggled with this for quite some time before beginning to understand the true importance of the proper keyword or keyword phrase. I always thought that a keyword that brought back a lot of traffic was the way to go. But there are other factors to consider when searching for your keywords. You also need to know how much competition there is for that keyword. If you are just starting out you want a keyword with low competition. With lower competition you will have a better chance to rank your site with that keyword and this will lead to people finding your site and actually paying your site a visit. A site that is getting visitors on a regular basis, if it is selling something will start to make sales. This is just one skill you are going to have to learn in order to run a successful online business. I have just skim the surface in my explanation. To truly learn the ins’ and outs’ of keyword research and about starting an online business there is really only one place to go and that is Wealthy Affiliate. Wealthy Affiliate has taught me a lot about how to run an online business and they will give you the education you need to start yours. They have the training and the tools to help you. You can test drive Wealthy Affiliate for seven days. No credit card required. What are you waiting for? Take that first step that is going to change your life for the better. Join Me at Wealthy Affiliate. If you have any questions or would like to leave a comment please do. I look forward to hearing what you have to say or helping you with any questions you may have. Hi Mark thanks for your comments. When we start building our website we need a solid foundation to build it on and keywords are a very important part of that foundation. If we get that wrong we are wasting a lot of time and energy which also equates to money. Hi! Very clear and understandable explanation of meaning KEYWORD. My mother tongue is not an English it is Latvian and no any keyword tools for it. So I am a bit envious of English speaking people and some others like German, Spanish and even Russian. But there are some other methods like AdWords keyword tool and others. Hi Andrejs thanks for your comments. You make a good point. I never thought that language could be a barrier when trying to find good keywords. We take so much for granted when we are in the majority. Good luck with your online business! The idea of starting an online business does sounds really daunting, and I do have some knowledge of websites, but I can see that for someone who is not hugely familiar with even computers, and there are many like this, that this can be incredibly overwhelming. All the words you outline are completely new to alot of people, so you have given people a great place to start. Thanks Ruth I hope some people will be helped by this article. Just knowing where to start can be a great help to some people.